The Herbal Salvation online store has one of the finest qualities of Kratom. This is no news for all those who have used the product for some time. The store is quite popular and for all the right reasons! It is important to consume good quality natural supplements to see results sooner and better. The reason why the Herbal Salvation Kratom is quite famous. This shop is your one-stop shop all option to feel relaxed, energized and invigorated by some of the world’s best Kratom. The Herbal Salvation started by the Viable Solutions LLC and is based in Idaho. It has been providing quality to customers for more than four years now. The online shop is the result of a longstanding business that believes in living a healthy and satisfactory life. The Herbal Salvation shop has been selling Kratom to users at wholesale rates. Due to its low prices and quality, it is a favorite among all smoke shops and bars. Vendors from all over the country and elsewhere stock Herbal Salvation products, especially Kratom and that is not all; other online shops also stock the supplement from the Idaho-based shop. During recent years Kratom products have become more and more popular. This has led to several unreliable sellers, and low-quality kratom suppliers have surfaced. Herbal Salvation will always ensure the right quality for your wellness. Apart from quality, you can find it in different forms, which makes the online shopping experience worthwhile. If you are an ardent Kratom user, you must have heard of the name Herbal Salvation on the different social media pages and even on the forums where people discuss their issues. The popularity of all the Kratom supplements available in tea, powder, capsule forms is increasing. Apart from the wide variety, you can also purchase capsule shells, capsule making machines and digital scales to accurately measure your dosage. What Does Salvation Stand For? Just like the word salvation means to save from, the shop Herbal Salvation offers herbal and natural remedies to protect users from different disorders and prevents terrible health conditions. You can find different kinds of soaps, balms, scrubs, and tinctures. All these products will save you from the different unhealthy conditions that negatively affect the quality of life. What matters to any customer, is not the lavish layout or variety of other products; but the very basic quality of Kratom available on the Herbal Salvation online shop. If the quality of the supplement is good and it is giving you what you asked for, then the product and shop are doing a good job! Due to this level of customer service and products, the shop is famous and has become a favorite for consumers. Buyers of the Herbal Salvation website have often appreciated the easy website layout. Many customers said it is easy to compare product prices and go from one page to another. The product range is also high regarding options and dosage requirements. 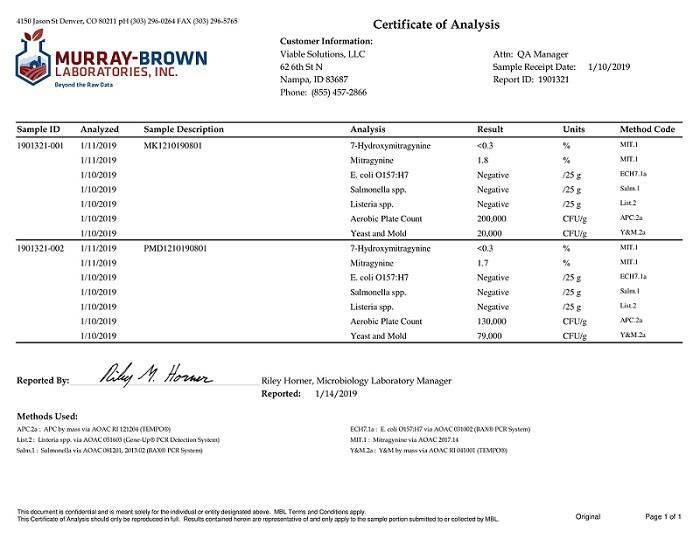 What Do Lab Results Say About Herbal Salvation Kratom? 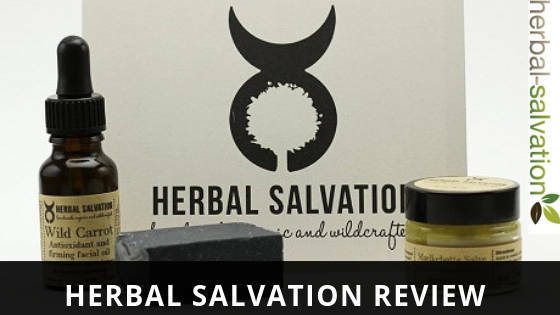 Herbal Salvation is a GMP compliant company and indulged in the practice of publishing lab results of their products each year. You can find out all past and recent lab test results of Herbal Salvation on Google drive here. On the online shop website, you will always see the disclaimer that the shop does not sell products as medication and that the Food and Drug Authority does not evaluate them. This alone is enough to explain to users that they need to be cautious on their own. Loving These Products From Herbal Salvation! You can tantalize your senses with this fantastic strain as it has the best effect of stimulation. Imported directly from the Islands in Thai and Indonesia, Maeng Da strain has the power to take you away from your surroundings and free you from worries. This euphoric strain is the best pick for all those who seek an outlet from their mundane life and experience ecstatic freedom! Read more about Maeng Da here. The Akuamma seeds are a treasure for those suffering from pain as it possesses the power to eliminate pain and soothe the nerves. Herbal Salvation offers Akuamma seeds, powder and capsules to suit you. The capsules have a dosage of 0.5g, and it can freshen your senses and make you forget about your pain! Next time when you have an uneasy, tense feeling that causes pain, you can liberate yourself with this natural and charismatic product. Indulge in a state that makes you forget all your worries and gives you wings to escape! Like the name denotes, the Blue Lotus leaves, extracts and flower available at Herbal Salvation is an easy way to avoid the troubles that weigh you down! Priced economically and bearing the effects of calmness; the Blue Lotus supplement is a jackpot! Try the blue lotus extract that tastes like iced tea and will take you to enjoy the cool breeze of the tropics. The anecdotal reports show that the extract has a synergistic effect when taken with wine. This extract doesn’t make you feel drowsy but just heals the thoughts and helps release stress. What Is More Exciting On The Store Shelves? The all-natural and wonderfully soothing Selective Serotonin Reuptake Inhibitor that helps you calm your nerves and tranquilize you in a euphoric way! The Kanna and Kava powder are brought in from the farms of South Africa, where this herb has been providing peace to millions. Whenever you feel as if life is running fast and you need a while to rest, you can chew away your troubles or brew them in a cup and smile. Herbal Salvation offers these herbs that have been used to reduce anxiety and is an excellent way to find your happy place while putting everything else on hold. What Customers Are Saying About Herbal Salvation? The customers can find all kinds of Kratom supplements, and if you have a ‘do it yourself’ streak, you will love the capsule making materials available. The soaps, balms and even elixirs available and ready to use are a convenient buy, which is bound to provide relaxation and relief from pain and other disorders. The Herbal Salvation Kratom is low on cost when compared to other suppliers. This is why most of the users shift to Herbal Salvation due to the high number of recommendations and the prices. Every customer you come across will tell you that the soothing and calming effects of Kratom begin with the shopping experience alone! What the customers love about Herbal Salvation is that it offers quantity and varieties of Kratom keeping the consumers’ thoughts in mind. There are sample packs available at very reasonable prices. So, if you are willing to try different kinds of strains to decide which one is your favorite; you can just order a pack and pick your ideal supplement. There is a comfortable and convenient return policy, which makes the shopping experience personal and relaxed. It is as if the Herbal Salvation has offered relaxation to all Kratom users from the minute they decide to buy! The Kratom strains are mainly imported from South East Asia, and some varieties are grown on private land. This ensures safe and hygienic strains packed at the GMP facility. In case any of the ordered varieties are unavailable, the shop sends different types of supplements and informs again when the desired Kratom strain is available. Online shopping already makes it cheaper as there is no commute involved, but the process is much more reasonable, and there is no false hype to sell different kinds of Kratom supplements! If you want to buy wholesale, you will have to shop for $1000 at least. The wholesale discounts start from this mark, and the shop will ensure to give you the best value for money! While the whole world is shifting from marketplaces to the shops available online; Herbal Salvation is like a live experience that offers the most extensive range, the best quality and the best prices to all its customers. In April 2018, the FDA sent notices to multiple vendors to voluntarily destroy the Kratom products due to an issue of contaminated with Salmonella. This was like an alarm that rung to warn the consumers that they needed always to be sure what they were buying. This incident also caused a significant problem as serial numbers were released, and consumers were warned not to use the Kratom that was packaged with the affected numbers. This incident is an indicator that all products can be harmful and need to be tested. The Herbal Salvation shop recalled all the Kratom due to its efficient working, but consumers should understand that they cannot rely on the products from less reliable shops or vendors.